Upcoming: Opening Night of Make Believe: The Secret Library of Mr. Prud’homme, Massey College, Toronto, Ontario, 3 May 2019, 7PM. Private event, gala show, Montréal, 23 March 2019. University of Waterloo Juggling Festival Show, Waterloo, Ontario, 16 March 2019, 7:30PM. “Professor Pepper” strolling, parlour, and stage magic for the 19th Annual Edwardian Ball at the Regency Ballroom, San Francisco, CA, January 25-26, 2019. Parlour magic for Café Concret #32, directed by Mark Sussman, Studio 303, 15 December 2018. Cabaret magic act at Montreal’s National Circus School for its Cabarouette, 3 November 2018. Soirée Foraine, strolling close-up magic for Leucan’s charity fundraiser that raised $461,250 to help children afflicted with cancer at the TOHU theatre, an event organized and directed by Toxique Trottoir, Montreal, QC, 1 November 2018. Dracula’s Guest, strolling close-up magic and a stage performance at the Slovenian Hall, San Francisco, CA, 13 October 2018. Pícaro, magic consultation for Carlos Alexis Cruz’s solo show and its creation residency at the Baryshnikov Arts Centre, Manhattan, New York, April 6, 2018. 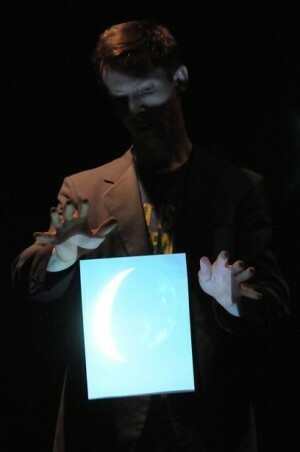 Magic performance at La Cinémathèque de Toulouse as part of the Illusion en jeu film and performance cycle, 30 March, 2018. Particle # B, magic consultation for Kerttu Pussinen’s one-woman show developed at the TOHU, the National Circus School in Montréal and D’arts et de rêves in Sutton, QC. Third residence and first public showing at Théatre Valspec, Salaberry-de-Valleyfield, QC, 7 September 2017.